The Beatles Song of the Day is “It Won’t Be Long.” “It Won’t Be Long” is the first song on The Beatles second album “With The Beatles” which was the second Beatles album released during 1963. “It Won’t Be Long” was written mostly by John Lennon with an assist from Paul McCartney. John Lennon: double tracked vocal, rhythm guitar/ Paul McCartney: backing vocal and bass guitar/ George Harrison: backing vocal and lead guitar/ Ringo Starr: drums. 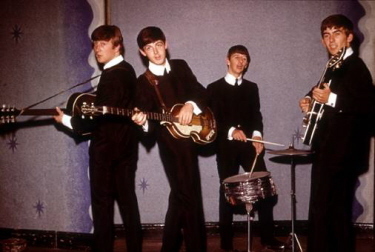 The song was recorded at Abbey Road on July 30th, 1963. Producer: George Martin. John wrote this with the idea of it being the next single after “She Loves You” but it didn’t quite make the cut. The song took 23 takes and 2 different sessions to get it where The Beatles were happy with it. Amazing this was never a single. It’s one of their stronger early tracks in my opinion.